Equiano, Olaudah. The Interesting Narrative of the Life of Olaudah Equiano. [Auckland, N.Z. ]: Floating Press, 2009. 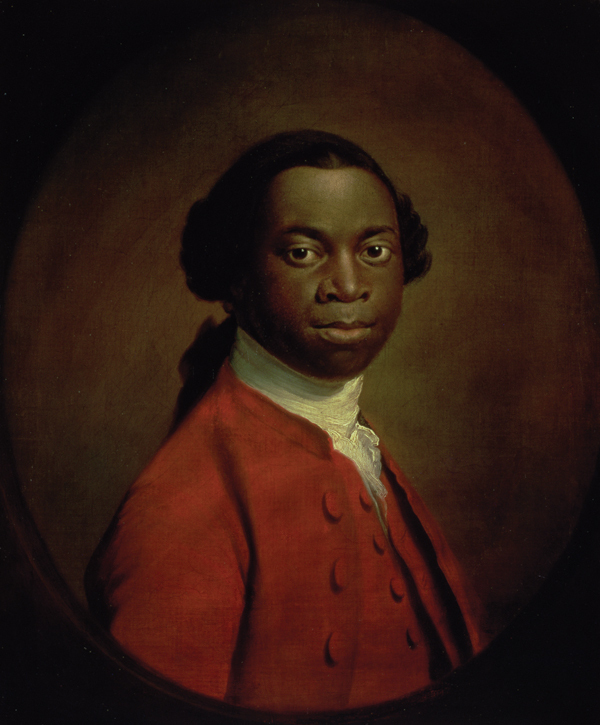 Olaudah Equiano was a prominent African in Britain who supported the British movement to end slavery across the globe. Born as Gustavus Vassa in present day Nigeria, Equiano was born in 1745 and as a freed slave; he wrote an autobiography in 1789 that attracted great public attraction. To many people the autobiography was a monumental piece that played a huge role in the passage of the monumental Slave Trade Act of 1807. The Act led to the end of slavery in Britain and across all its colonies across the globe. Since the autobiography was written, many historians and researchers have tried to unearth his history and his past experiences as a slave. Most of these experiences were documented in the autobiography which clearly stated the various experiences and people or masters who owned Equiano during his time as a slave. The autobiography starts when Equiano is kidnapped from his home village together with his sister. However, he is eventually separated from her sister who is taken by other merchants. He was only about eleven years old at the time he is kidnapped. This is a depiction that the salve merchants were ruthless and never cared about the plight of the children in Africa. A child who is only eleven years old is one who cannot comprehend a lot of the things about the world and this marked the beginning of a journey that would be full of a lot of misery since he is also separated from his family. After he is kidnapped, Equiano is sold to various merchants and transverses through numerous regions and nations. He later arrives at the coast where he is sold to a ship owner who was heading to the West Indies. The exposure of the cold weather on sea also meant that many slaves died during the passage to the Americas. The autobiography is an important piece into understanding how the plight of the slaves was ignored by the Europeans. To them, this was business since they did not consider Africans to be their equals. The Europeans also had more superior weapons that the Africans in terms of guns and other pieces of ammunition. This often made it difficult for the Africans to put up any form of resistance that could hinder the Europeans from invading their villages and kidnapping children and youths who would later be transported to various regions especially in America. Another factor that Equiano points out is the disunity that was evident in West Africa among the Africans. On many occasions, the Africans who were kidnapped were being kidnapped by fellow Africans who could later sell them to the European merchants who would transport them abroad. This was made possible through arrangements that were made between the local African leaders and the slave merchants. These leaders would later be compensated by the merchants for offering their services to kidnap their own people and deliver them to the Europeans. Once Equiano is in Virginia, he is sold to a plantation where he would undertake light chores before he was later sold to Henry Pascal. Pascal was a captain of a merchant ship and part of the Royal Navy. In his words, Pascal bought Equiano as a present to some of his close friends back in England. From this, a reader gets the notion that slaves were considered and seen as objects and not as people. Buying a slave as a gift to another individual clearly signifies that the lives of the slaves were seen to be unequal to others especially the Europeans. Despite the numerous instances that Equiano points out to have been unfair to the slaves, a reader gets the notion that not all European masters were bad. Pascal is one of the people who played a pivotal role in changing the life of Equiano. Pascal offers Equiano with an opportunity to learn and write English. As a result, Equiano is immersed into the European culture and is even baptized and his name is changed. Pascal also offers him a job at the ship and this meant that Equiano could spend most of his life on sea and this helped his to be exposed to numerous cultures as they visited many regions across the globe. Equiano later buys his freedom for forty pounds from King and this sees him set his sights on being part of the abolitionist movement that would lead to the end of slavery in Britain and in all the British colonies through the passing of the act. Cugoano, Ottobah, and Vincent Carretta. Thoughts and Sentiments on the Evil of Slavery and Other Writings. New York, N.Y.: Penguin Books, 1999. Ottobah Cugoano was an African abolitionist and human rights philosopher who worked as a slave. Born in 1757 in present day Ghana, Cugoano was active in England and was known as John Stuart. He was captured as a slave when he was 13 when he was working at a plantation and shipped to Grenada. Later, he was purchased by a merchant who took him to England. There, he was taught how to read and write and was later freed following the famous ruling in the Somersett case. Just like Equiano, he was joined the Sons of Africa an abolitionist movement that pursued the end of slavery across Britain and in the world in general. As an abolitionist, he wrote many letters and journals that were published later published in the London newspapers of the time. Apart from that, he also wrote his personal account of slavery known as Thoughts and Sentiments on the Evil and Wicked Traffic of Slavery and Commerce of Human Species in 1787. A shorter version of the same was later produced in 1791. In the piece, he demonstrates the anger he had towards the manner in which slaves were being treated by the Europeans and African merchant since he had experienced this before being separated from his family back in Africa. The first aspect that he notes is the anger he had towards his own countrymen. He stated that his countrymen played a huge role in propagating slavery and human commerce and slavery. This was due to the fact that his countrymen and people of his complexion were responsible of kidnapping thousand s of slaves and later selling them to the Europeans. He sees the poverty and suffering n Africa as something that could not be comparable to the suffering that was witnessed by Africans who were shipped to the West Indies. The weather was cold and Africans were not accustomed to this due to the pleasant tropical temperatures that were evident across Africa especially in West Africa. He saw the Europeans as individuals who neither had any respect for their fellow men nor any regard to the laws of God that were preached in Christianity. He often questioned the purpose of Christianity since the Europeans purported to be Christians since the principles about the equality of all men and the need to show compassion for the needy was not practiced by many merchants and Europeans. Many Europeans saw Africans as ignorant, poor, unsociable, and dispersed people. As a result, they felt that it was right to sell them just like other commodities in a market since they saw black people to be inferior. Cugoano through his writings and exerts helped strengthen the Sons of Africa abolitionist movement. The groups played a huge role in enhancing the lives of thousands of slaves who had been freed and who were still in slavery. He also helped pay for the freedom of several slaves in Britain which would later join the movement and push the government into passing an act that could later declare that slavery was illegal in Britain and in all its colonies. His writings were mainly motivated by his belief in Christianity. On many occasions, he would refer to the Bible when making the case for the slaves and the importance to ensure that all people within the country were subjected to the same level of rights and freedoms. As a Christians, he also wrote work that was informed by the religion. He called for the immediate and effective emancipation of slaves and the abolition of slavery and slavery since he had observed the numerous detrimental impacts it had on the people within the country and in Africa. His experiences proved to be pivotal since many slaves did not have any education as he had. As a result, many could not communicate ether ideas to the people and the general public. Many of the conservative Europeans especially in Britain were also unaware of what the slaves had to go through before arriving at the coast of the country. Some of the enlightened people like him and Equiano thereby played a pivotal role in helping the locals in Britain to understand the extent of suffering that was witnessed by the slaves. As a result, this helped create momentum on the movement towards abolition of slavery within the country. Marques, Leonardo. The United States and the Transatlantic Slave Trade to the Americas, 1776-1867. , 2016. Marques addresses the various impacts that the Transatlantic Slave Trade had on the slaves, their native lands, the merchants, Europeans, and the overall impact on the economy of the United States. It is often purported that the trade only had detrimental effects on the slaves. However, there are several salient positive effects that the trade had on thousands of people as will be addressed later in this section of the paper. From the 16th century to the 19th century, many of the leading economies across the globe were dependent on slavery and slave trade for labor in the plantations and in the industries. According to the European colonialists who landed in the Americas first, the vast land that was there was useless if they could not find a cheap source of labor from Africa. This was due to the fact that the Americas had small populations and the immigrants from Europe could not meet the ever increasing demand on labor to work on the plantations. In the past, slaves were acquired from Africa to work in the Mediterranean whereas others were shipped from Russia. However, the vast land in the Americas meant that other sources of labor had to be developed and Africa proved to be a worthy option. In the United States, the Industrial Revolution could not have been possible if slavery and slave trade was not present in the country at the time. Thousands of slaves were employed in the industries and in the vast plantations especially in the South. This enabled the growth of the economy while at the same time offering an opportunity for the country to export some of its surplus products into the global market. The increased surplus would later lead to the development of international trade across the globe. On the other hand, West Africa and Africans could not enjoy the benefits that were brought about by Agrarian revolution. This is due to the fact that many strong and able men and women were taken into slavery in the Americas and parts of Europe. This meant that the African nations developed slowly and were unable to effectively utilize the gains of the revolution. Despite the many instances of violence and suffering that were witnessed by the slaves, there were also several instances where the slaves benefited. An example is the case of Equiano and Cugoano. These individuals after being freed lived a new life that was better than what they would have experienced in their native African continent. They were exposed to the Western culture and civilization and could read and write. Some were able to attend school and would later follow their dream careers in the Western countries. Marques also investigates the effects that slave trade had on Africa. Many of the researchers and historians who have studied the Transatlantic Trade have often ignored the persistent impact that it had on Africa and the people who lost their relatives and family members to slavery. The first effect is that it increased the number of wars that were taking place in West Africa. This is due to the fact that Europeans did not only go to West Africa and kidnap slaves, but would at times buy slaves from some of the kingdoms within the coastline of West Africa. These kingdoms would get these slaves from wars and through raiding inland tribes for slaves. These inland tribes in turn retorted by forming groups that would reiterate any attacks that were conducted by the kingdoms on the coastline. This would later lead to numerous conflicts and the deaths of thousands of people in West Africa. The violence also increased since the kingdoms would on many occasions be given guns and other forms of ammunition for cooperating with the Europeans and other slave trade merchants. With guns, these kingdoms raged war on the inland tribes as they sought to kidnap more slaves who would later be sold to the Europeans. This brings us to one of the positive impacts that the trade had. Through selling the slaves to the Europeans, the coastal kingdoms become more powerful and richer. This was through the exchange of slaves for guns and other items. However, the long term effect is that these kingdoms were also hurt. This was due to the decrease in population across West Africa. With decreased population, especially that of men and youths, farming and other commercial activities within the region decreased significantly. This gradually led to the slow progress of the region as economic activities were greatly disrupted. The separation from their families is also another aspect that is discussed in detail by Marques. Slave trade led to separation of wives from their husbands and children from their parents. This would later lead to the breaking down of the social and cultural realm in West Africa with the elderly being forced to take upon the roles that were meant to be undertaken by men at the time. The separation also led to untold grief among the families something that many historians have often forgot to investigate since there was no information that was collected on the native families about what the separation brought to them during the years when slavery and slave trade was booming in West Africa. The weakening of the social factions within West Africa gradually led to the weakening of the social and political system. This later paved way for the colonization of Africa since the regions had been weakened by slavery and slave trade. If the slave trade had not taken place, Europeans would have had a difficult time colonizing these nations since most of their youths and men could not have been taken to the Americas and Europe. The slave trade also led to looting of property and minerals in West Africa. According to Marques, Europeans not only kidnapped the slaves, they also acquired numerous minerals and resources such as gold and ivory that was later shipped to the European nations. These resources were on many occasions taken away from the Africans without being offered any return in exchange. Other Writings. New York, N.Y.: Penguin Books, 1999.